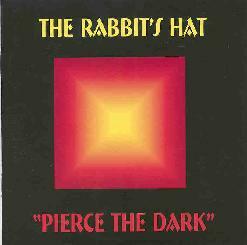 The Rabbit's Hat - "Pierce The Dark" / Body Full Of Stars - "Falling Angels"
The songs on Pierce The Dark mix a variety of styles making The Rabbit's Hat difficult to pigeonhole, though I would describe it as jazzy melodic progressive rock. The band consists of Terri~B on vocals, Tim Jones on vocals, guitars, and programming, Steve Ellis on keyboards, Norm Emerson on drums, Rabbit on bass, and Martin Holder on guitar. The album's strength is well-written songs and lyrics, and Terri and Tim's wonderful vocals are the focal point. Terri has a gorgeous voice and Tim has a distinct voice which I suppose could be compared to Phil Collins. The two harmonize well and their style is soulful and at times quite dramatic giving the music a unique sound. Songs like "We Got Rot", "Sweetmeats Of The Dead", and, especially, "Dead Starfish" give front and center stage to these energetic singers, and these are among the tunes that rock out the most. And on "Baird, My Soul" Terri takes on a high pitched Nina Hagen sound. The band gets more overtly into light progressive rock territory on songs like "Darwin On The Shelf" and "Hiatis", with "Hiatis" standing out with its Middle Eastern percussion and melodies. Body Full Of Stars is a related project sharing members with The Rabbit's Hat. Terri~B, Tim Jones, and Martin Holder are joined by Mark Dunn on vocals, drums, percussion, bass, and keyboards, Paddi Addison on drums, and Paul Ellis on keyboards. Like The Rabbit's Hat this is very song oriented and is not unlike the songs on that album. 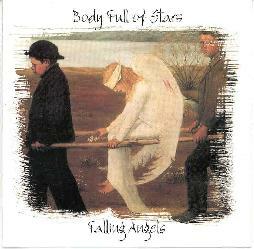 The main difference is the rhythms on Falling Angels are more world music tribal, and the soulful tunes have a strong bluesy edge. Also, Martin Holder's guitar prowess is featured prominently throughout the album. Songs like "The Quaking House" and "Rainbow Water-Snake Demon" are like African vocal/percussion songs but with a slightly jazzy edge. The vocals are great and Quaking House features gorgeously tasteful soloing from Holder. Much of the album is in this style. "The Women Come Singing" and "Slave Labour" are interesting tracks. The former has a driving percussion beat, but it's very quiet and kept in the background, contrasting with what is really a soft vocal number with new agey wind instruments. "Slave Labour" too has this percussion beat but with rapping vocals. Other standout tracks include "Jump Up! ", a soulful tune along the lines of an old Spencer Davis Group or Joe Cocker song. "Paranoid Conspiracy" and "Jump Up Again" both feature ripping blues solos from Holder. Overall two well crafted sets of songs.